Crush the Commonwealth? It was a stated goal for the year, but I didn’t ride. My wife and kids were giving me a hard time because I had been away the whole weekend doing some abandonneuring (the Fleche) two weeks prior, and we needed some family time. And when I saw the forecast, that sealed the deal. So, basically, I am glad I skipped it. Sounds just a touch bit too much like survival this year. For my honorable family time efforts that weekend, I earned enough points to go ride Calvin’s Challenge this upcoming weekend. Recumbent rando Reddan will be there too. Both of us doing the 12hr, recumbent class. I am hoping to do 200 miles. I did 203 three years ago, but I was more fit then. But I have more ultra experience now. We’ll see which dynamic wins. I deliberated over riding the Musashi or Metabike. Neither one is really set up for racing, so to a certain extent, I am just gonna run what I brung. Points went to the Metabike cause it can take my PowerTap wheel. A power read out can very helpful for pacing, and putting in the best performance you can is all about pacing (and eating, of course). The last couple days I’ve worked on gettting the Metabike all stripped down and in full race form (to the extent that I can). 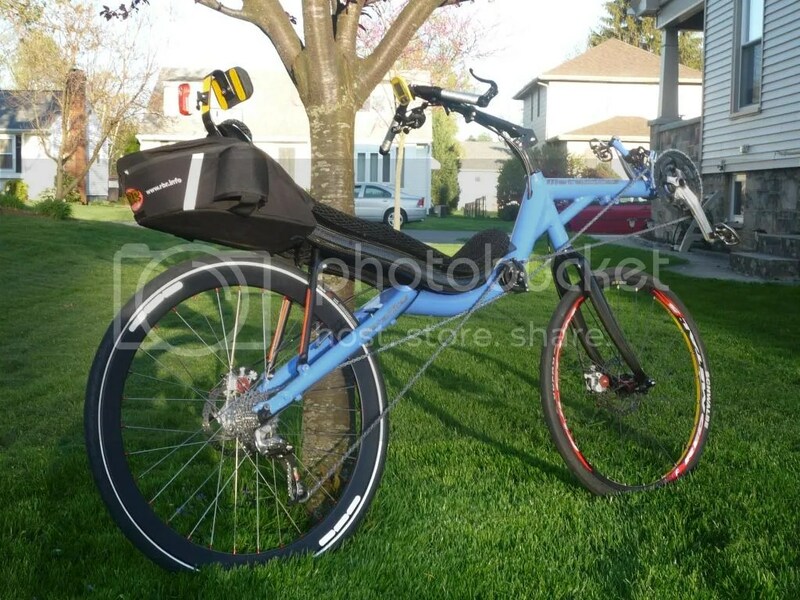 Fenders, lights, extra water bottle cages, etc. are all gone. I put on my fastest wheels, and narrowest range cassette, and set my seat angle to 20 degrees. Ready to rock. Here was my report the last time I did Calvin’s. Me, after bonking pretty hard at the 2010 Calvin’s Challenge, about 160 miles into the race. Photo by Recumbent Journal’s Travis Prebble. The Metabike, in race form.